Looking for a Hoppers Crossing locksmith? Look no further, we cover all of Melbourne’s Western Suburbs and surrounding suburbs. The team at LDC Locksmiths are available to offer you our expert services at any time day or night, 7 days per week – 24/7. Whenever you need us, we can be there to help you, especially if it is a crisis and you need us there straight away, or even if it is for a new lock that you require in a week or so. We are a mobile locksmith company of course, so we come to you. As Hoppers Crossing most reliable locksmith company, we will ensure that you can get back to enjoying your day stress free and secure. We recently did a job in Hoppers Crossing for a big warehouse in which a customer called and said that they had an employee who left their employ. The customer did not know if the employee had made copies of the keys, and they were concerned that the employee would come back after hours. As a solution for this, we installed a restricted key system that gave the customer complete control on who can get keys cut. We replaced all the barrels in the locks with restricted barrels, and cut restricted keys for the customer. This gave the customer peace of mind knowing that we are the only locksmith that can make copies of these keys, but not only that, we would need their authorisation before we could make any copies of the keys. Another job we recently did in Hoppers Crossing was for a residential customer. They had just purchased a house and were worried that the previous owners (as well as family members and friends of the previous owners) could still use their keys to get into the house. The customer knew in advance what day that they would be moving in and booked for us to come out on that day. We changed all the barrels in the locks and gave them new keys, which meant that the old keys no longer worked. The customer felt much more secure knowing that they were the only ones with keys to their house. 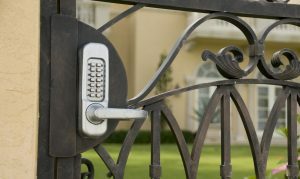 When choosing a locksmith, you want to be reassured that the person who comes into your home or business is reliable and professional. Look no more – you have found that here at LDC Locksmiths. Our staff have over 15 years experience in the locksmith field. No job is too big or small for LDC Locksmiths, so give us a call today on 0411 344 144.